The Brooklyn Gypsies are a group of NYC based musicians/producers whose creative influences draw from the constant shifting of an ever changing urban sociopolitical landscape while retaining their unique cultural backgrounds through what has come to be recognized as “Gypsy” music. Sin Fronteras is the groups debut album which translates to “Without Borders.” This theme can be heard in the seamless fusion of genres taking the listener on a sci-fi desert journey through the Middle East and North African Sahara with The Spy From Cairo’s Oud stylings navigating the caravan. Lyrics in Spanish, English and even Russian are featured from the group’s two vocalists Carmen Estevez, who showcases her flamenco freestyle textures on “Supercore,” & Tina Kristina’s, whose reggae blues & Russian folk inspired melodies in “Desert Moon” create a unique BK Gypsy sound. Rhythmic trances are induced via drummer Brandon Lewis & Estevez’s Arabic percussion breakbeats as heard on “Marfa,” while producer Takuya Nakamura's seductive trumpet lines & deep bass synth pads along with co producer Troy "Mobius" Simms summon Gypsy Dub sax riffs & solos reminiscent of street musicians on Istanbul’s Istikal thoroughfare and dancehalls in Kingston Jamaica. The roots reach as far east as Japan on “BK Gypsy Dancehall” Feat. Bajah of Dry Eye Crew, fusing a Japanese Koto melody with the Sierra Leonean MC’s signature reggae dancehall cadence. “Sin Fronteras” is a tribute to the nomadic Gypsy spirit worldwide. Originating from Spain, Japan, Russia, Italy & U.S.A. BK Gypsies truly represents Brooklyn’s diverse ethnic heritage and style. 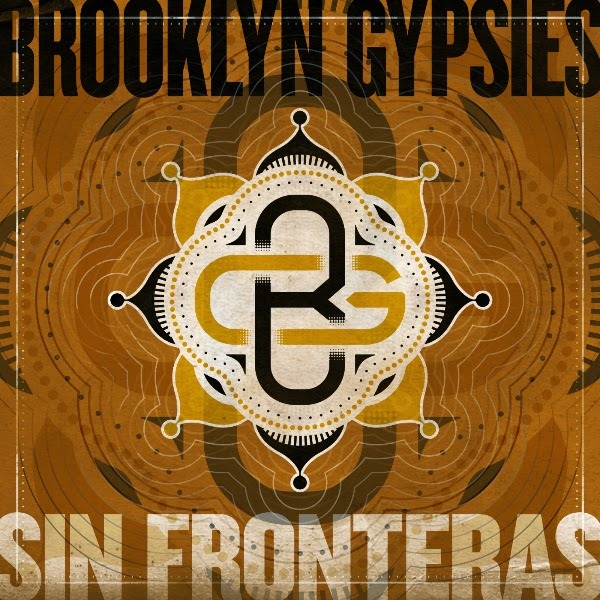 The gypsies came to be in 2012 within Williamsburg Brooklyn’s Studio BPM music scene. Members include: Carmen Estevez, Takuya Nakamura, Tina Kristina, Brandon Lewis, Troy "Mobius" Simms & Zeb "The Spy From Cairo.” After a number of collaborative projects between the artist were explored the opportunity to form a band that incorporated elements from each project arose. The groups sound is an infusion of Mediterranean, North African, Arabic Themes with Electronic, Dancehall and Dub Reggae. The term "Gypsy" was incorporated into the band name representing the nomadic spirit & way of life within this musical journey. SummerStage's 30th Anniversary Lineup Announced!